Today for our No Technology Sunday activity we went swimming. 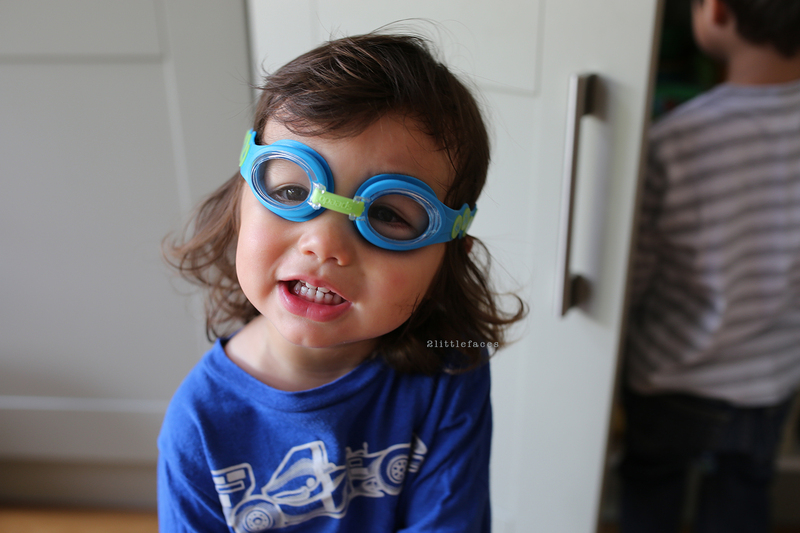 Seb decided he wanted to wear goggles. Not wanting to take them off, he wore them in the car to the way to the pool. The suction on the goggles did make for some funny eyes though. 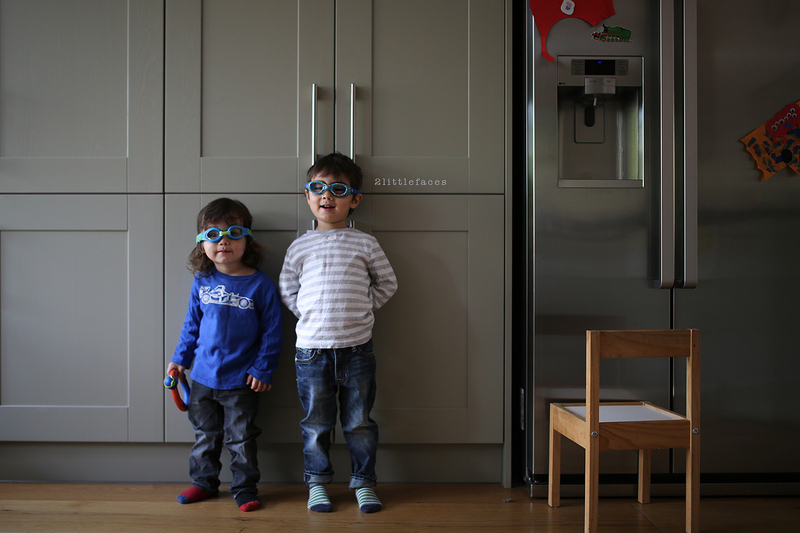 Both boys love swimming but we haven't taken them for a while so Seb was a bit grumpy at first but loved it by the end. Harvey just dives right in. He thinks he can swim and bounces along, kicking and splashing everywhere. But I guess at this moment it is important to just keep up their confidence in the water. It doesn't have to be a Sunday. It can be any day or days. You can be as strict or flexible as you like. Maybe a day without TV or an afternoon not using your phone, crafts, or cooking.... Just as long as you are enjoying time with friends and loved ones. Or even just you having some "you" time. Nice blog! 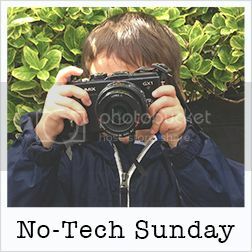 I love your idea of no technology Sunday! I'm a teacher and am constantly looking for no technology ideas for my students as well.